Grass cut front and back, meetings met and minuted, clothes and gear assembled, car loaded – and at last, after months of winter planning, the Cleddau crew were ready for OFF. Spring-time has been busy with trips to Pembrokeshire and Scotland; the Captain’s voluntary work consumes great swathes of time and cartridge ink, but now the Summer Escape has begun. 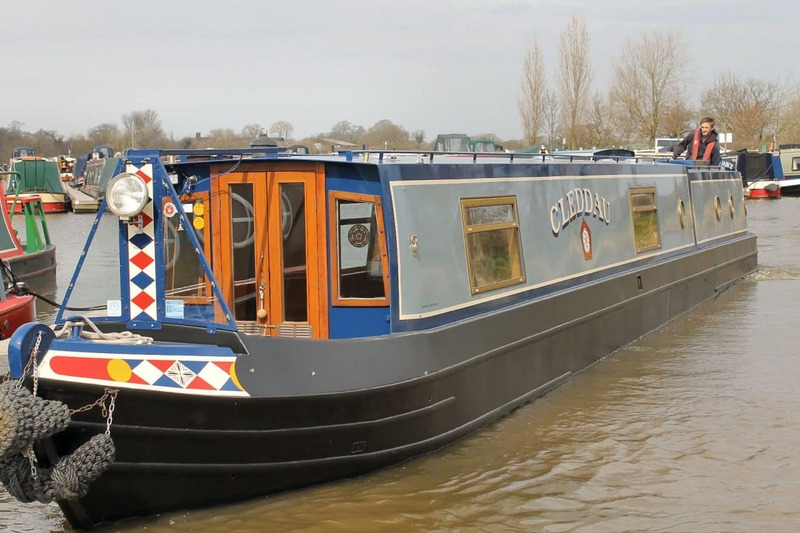 It was at ten to four on Friday afternoon when Cleddau was reversed back from her mooring pontoon. The waterways route from Poynton is familiar: north up the Macclesfield Canal for a couple of hundred yards, do a three point – well, a six point turn in this instance – and then head south. a paint job. How smart the railings look now. By late afternoon Cleddau was cruising away from Victoria Pit Moorings – the name a reference to the one-time coal pits in these parts, each shaft remembered now by a copse of trees and a stone marker. barely a stone’s throw from Clarence Mill. A pot of tea and a lit fire were deployed to restore warmth to frozen fingers! It was slower through Kerridge than usual, but then usually one doesn’t meet an unmanned boat swinging free from the bank. Bosley. The Bosley twelve locks are spread out over about a mile. there’s an open view of The Cloud (1126 feet) and a grassy meadow across the canal. Monkton Moment*- a reference to / recognition of Cleddau’s Pembrokeshire connections. I would love to have bigger pictures. Clicking an image merely gives an image the same size. I wanted so badly to absorb and be part of that mooring in sight of The Cloud. Les, we will send you the full size. It’s great to b back cruising! I love the peace and serenity in those final pictures. Spectacular and I am so happy for you both. I can see Ken’s smile ear-to-ear! Next story Turn on the light!